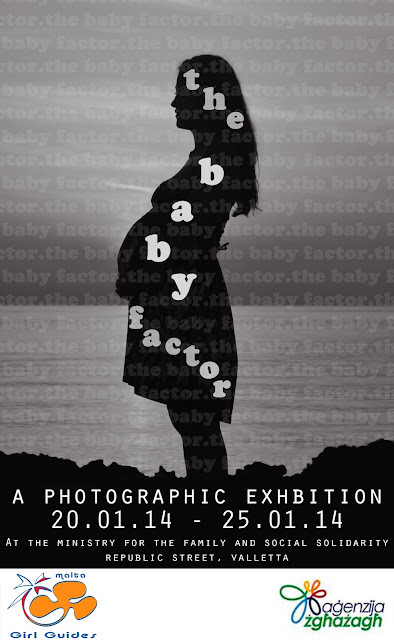 The Malta Girl Guides Association (MGG) is bringing you the photographic exhibition titled The Baby Factor, as part of its Photovoice project, in collaboration with Agenzija Zghazagh and the Ministry for the Family and Social Solidarity. Since 1999, the organisation Photovoice has pioneered the use of participatory photography as a tool for communication, self expression and advocacy. Last year, it ran a training session for around 17 members of the guiding movement hailing from different national member organisations of the World Association for Girl Guides and Girl Scouts (WAGGGS). Ms Michaela Abela representing the Malta Girl Guides, attended the training course held at the WAGGGS’ world centre Pax Lodge London. The training was about using photography as a tool for social change. Ms Abela then trained a group of young budding photographers from the MGG. Meanwhile, the MGG collaborated with a Nigerian Girl Guide group. Both groups have been working on this project specifically focusing on child and maternal health in line with the 2013 World Thinking Day which focused on the Millennium Development Goals 4 and 5. Together, they shall be showcasing their shots in an exhibition set up in the courtyard of the Ministry for the Family and Social Solidarity in Valletta from Monday 20th to Friday 24th from 8.30am till 5pm and on Saturday 25th January from 9am to 12.30pm.. The exhibition is expected to bring together the perspectives of the girls coming from two different continents portraying two very different worldviews. Through participatory photography, this project empowered the girls to raise awareness on the state of child and maternal health issues in their communities whilst learning practical tips on how to take, edit and caption pictures. This initiative is being funded by Agenzija Zghazagh’s Youth Organisations Financial Support Scheme. The project is also supported by the Family and Social Solidarity Minister, Marie Louise Coleiro Preca who shall be visiting the exhibition on Saturday 25 January. Contact us for more information by calling on mobile number 99922888 or email address info@maltagirlguides.com. The Malta Girl Guides are also on Facebook. Like our page, Malta Girl Guides for regular updates. The Malta Girl Guides Association (MGG) was set up in 1923 and is a full member of the World Association of Girl Guides and Girl Scouts (W.A.G.G.G.S.). The MGG offers girls and young women a non-formal education programme, through developing their leadership skills through personal development, challenge and adventure. WAGGGS has 10 million Girl Guide and Girl Scout members from 145 countries. It is the largest women-only voluntary movement whose mission is to advocate for girls and young women.